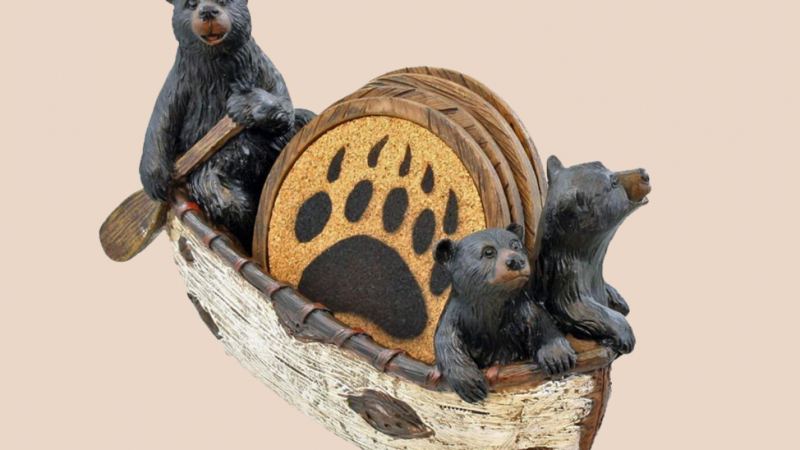 This Black Bears In Canoe Drink Coaster Set is cool because it is so cute. You will love the way it adds charm to any room. A lovely, whimsical item that is sure to be noticed by guests. This is perfect for a cabin in the woods or a rustic home. Protect your surfaces because the coasters are well made and add some character to your home. There is a mother bear and two baby bears in the canoe that holds the coasters. The mother bear is rowing the canoe while the two smaller bears appear to be looking at the view. The coasters are durable and hard wearing because they are made of tough material. They are lined with cork and they feature soft rubber pads that are skid resistant to protect your furniture. The holder measures 7 inches long, 2.5 inches deep and 4.25 inches tall. Coasters measure approximately 3.75 inches in diameter. This coaster holder is made from hard poly-resign because it is long lasting. 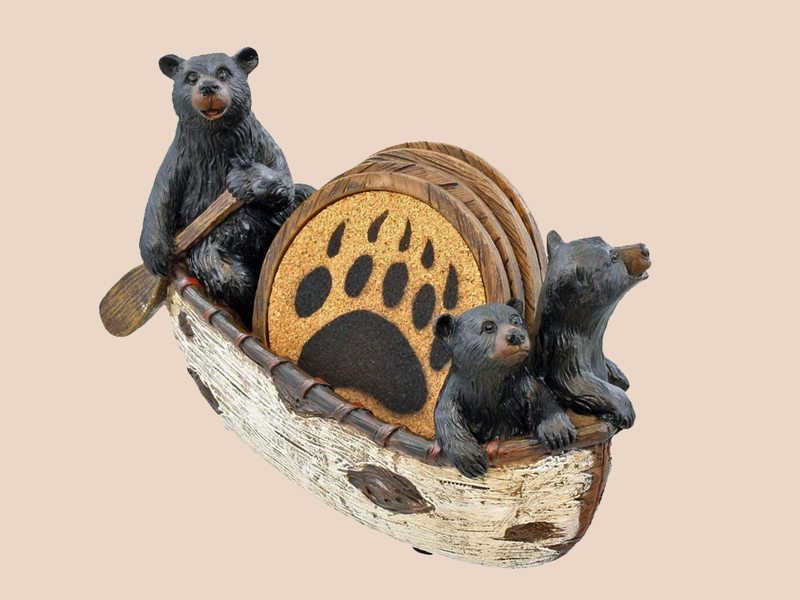 The canoe and the bears have been created with lifelike detail and they are sure to impress. A lovely gift idea for anyone who loves nature or rustic items that are unique. Perfect for the owner of a rustic styled home bar or a holiday home in the woods. If you like this item you may also find these items interesting because they are similar.